Luxuriously foamy and featuring certified organic lavender, JASON Lavender Satin Shower Body Wash deeply moisturises and softens your skin. Its sensual fragrance will revitalise your senses, making your bathing experience so much more pleasurable. Relaxing chamomile and rich oils of avocado, apricot and vitamin E work in tandem with emollients and humectants to provide your skin with deep hydration. 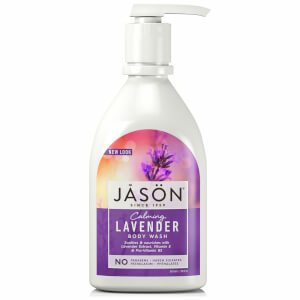 JASON Lavender Satin Shower Body Wash offers your skin the benefits of all-natural ingredients. Follow with your favourite JASON Hand And Body Lotion.